When I went to Bardo Farm Fest this year, I knew it would be fun. After all, some of my favorite people would be there, and I had a blast last time I was at the Bardo Farm. Several Fr33 Aid team members were joining me, including Jeff Johnson, Jacob Petlon, Stephanie Murphy and Joan Bastek. The fest organizers welcomed Fr33 Aid and reserved a nice spot for our booth, just across the field from George’s Famous Baklava. Although the Fr33 Aid team had also been at Free Keene Fest, I wasn’t quite sure what to expect at the Fr33 Aid booth. We made arrangements to bring our booth, table and banner, a defibrillator, a CPR manikin, pharmacy items, first aid supplies and lots of bug spray. As I was putting my duffel bag into the trunk of my car on my way to the fest, I had the idea that maybe I should grab some of the “What is Voluntaryism?” brochures that I had made last year for a rally in San Francisco as part of another project. I thought it was possible that most people at Bardo Farm Fest would already be voluntaryists themselves, but I’m glad I brought these! While at Bardo Farm Fest, there was so much going on at various locations on the farm that there wasn’t a lot of traffic by our booth, and we didn’t staff the booth full time. We left our supplies out when we weren’t there, along with our donation jar and a note inviting people to use our stuff and consider a small donation. We took our radios with us in case there was an emergency, and fortunately the injuries we responded to during the weekend were minor in nature. We appreciate the several people who came by our booth and talked with us and/or made donations. While walking back from the excellent gun safety class that Ian gave at the house on Saturday, I ran into someone I hadn’t met before and struck up a conversation. He was from Philadelphia and was a friend of Emily’s and Neal’s, who live at the Bardo Farm. I told him I was there with Fr33 Aid and talked a little about our philosophy. Specifically, I explained that Fr33 Aid provides first aid and emergency medical services on a voluntary basis. We consider it important for laypeople to know about CPR and defibrillation, since government doesn’t always arrive in time to help victims of cardiac arrest or other emergencies. And unlike government, we will never force anyone to fund our services. He had never heard about voluntaryism before, so I invited him to come to our Fr33 Aid booth and gave him one of our brochures. He seemed genuinely excited to learn about this and supportive of our efforts. Later, I talked with one of my camping neighbors who was from Vermont, and he was interested to learn about Fr33 Aid and voluntaryism as well. On Sunday, we met another friend of Bardo named Beth, who was helping in various ways around the farm during the fest. 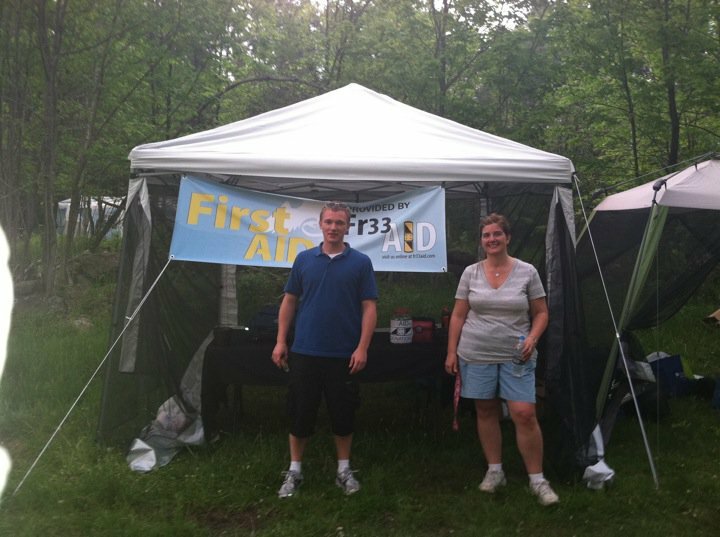 Jeff Johnson discovered she is also a nursing student, and we recruited her to join our Fr33 Aid team at PorcFest. 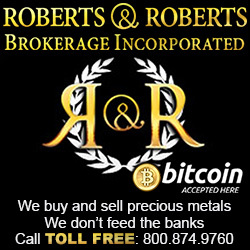 All in all, Bardo Farm Fest was a great success for Fr33 Aid. We helped some people with minor injuries, raised some needed funds and learned things we plan to apply to PorcFest. 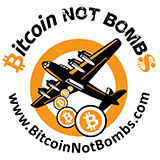 Perhaps even more importantly, we talked with people about voluntaryism and connected with a new team member. Our initial focus with Fr33 Aid is on participating in liberty-related events. However, experiences at Bardo Fest helped me realize that there may be a role for Fr33 Aid in voluntaryist outreach at other types of events as well. I look forward to brainstorming with the Fr33 Aid team about future opportunities along these lines. Meanwhile, please join us at PorcFest next week. We’ll be at Agora Valley site #2, providing medical services, educating people about CPR and defibrillation and talking about voluntaryism.